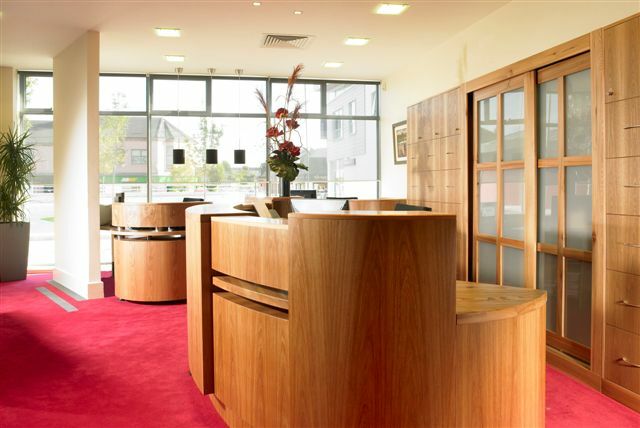 Situated just off the Ballincollig Bypass in the busy satellite town of Ballincollig, our head offices are conveniently located fronting the Main Street within the new Ballincollig Town Centre. Enjoying over 3,500 square feet of office space, we offer you a comfortable and private environment with ample free parking provided nearby. Our high specification fit out includes a fire proof store room for Wills, Deeds and other vital documents. Our offices are highly computerised and possess the latest technology available including a high specification case management system and digital dictation. We have designed our office to offer our clients privacy in our interview rooms and a comfortable setting in our waiting area. The Firm also has offices in Cork City proximate to the Courthouse, Washington Street. Consultations can be arranged by appointment in the Cork City offices. We are always looking at ways to improve and welcome any suggestions from you. We are child friendly. We will do our utmost to avoid delaying you for your appointment, although delays can be inevitable and we ask for your patience and understanding. If you have any trouble finding us or parking just call us at 021- 4877170. We have private parking facilities nearby.